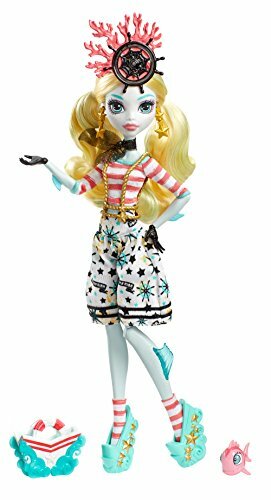 This Scare-Mester the Monster High Dolls are participating in a Monster Exchange program that will bring some new students in and send others abroad to learn about each other's skull-tures! 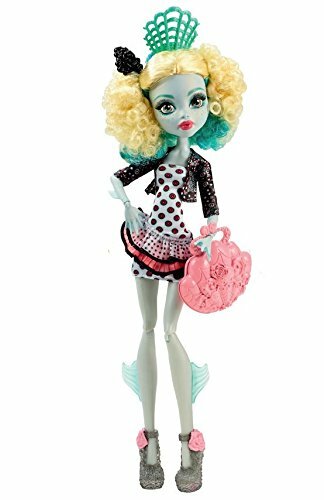 Heading overseas, Lagoona Blue, daughter of the Sea Monster, will soak up the frights in Madread. She wears a gore-geous outfit that monster-mashes skelements of her destination with icons representing her Sea Monster scaritage. Ruffles inspired by flamenco on her polka dot dress make waves, while a creepy cool print jacket is fintastic! To-die-for shoes, uhhhmazing accessories, and a freaky fabulous travel bag complete the killer look. 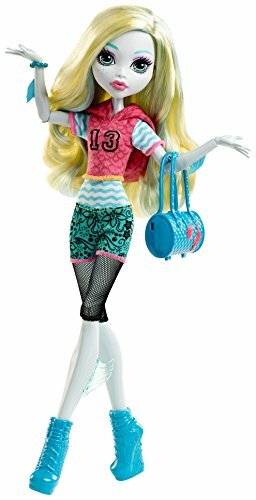 Includes Lagoona Blue doll wearing fashion and accessories, bag, brush, doll stand and diary. 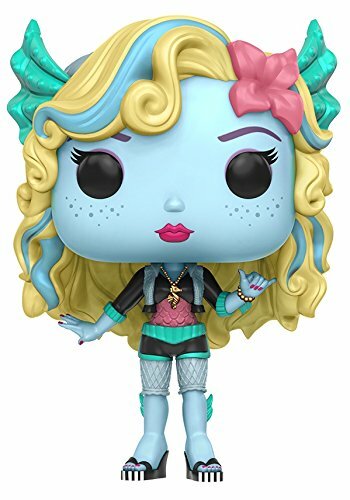 From Monster High comes all your favorite creepy cute characters as collectible Funko POP vinyl figures! Figure stands 3 3/4 inches and comes in a window display box. Check out the other Monster High figures from Funko! Collect them all!